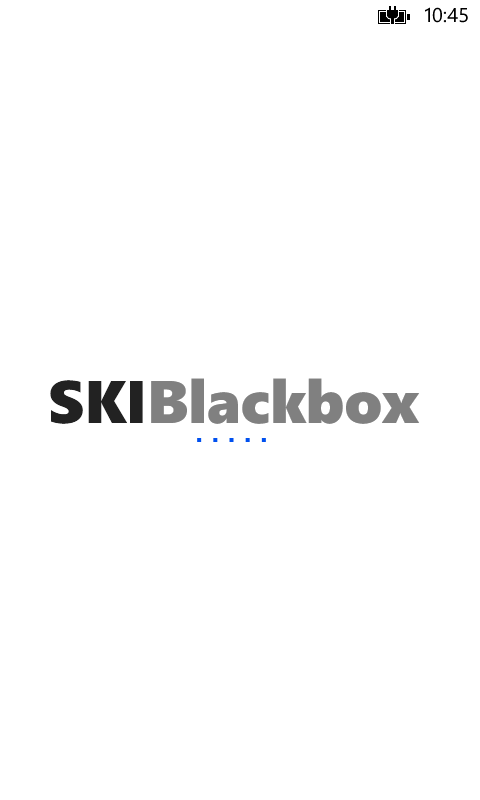 Do you want to know EVERYTHING about your day skiing or snowboarding? Check speed, slope angle, altitude, g-force, jumps and much more. You will see your line on a real map of the mountain. Exact speed, slope angle and altitude during the run by sliding your finger! 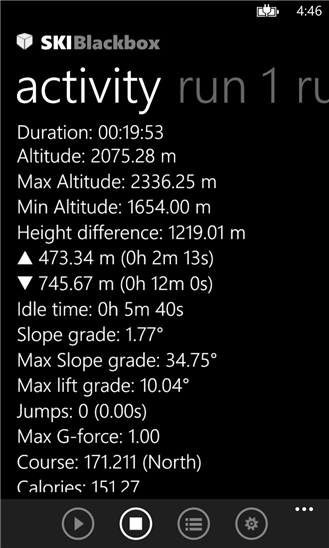 Get Ski Blackbox for Windows Phone, record your runs and share your stats with your friends. 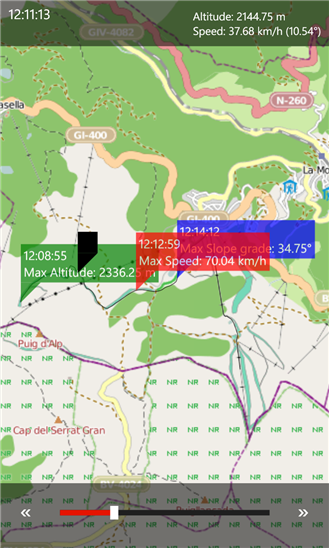 Map of pistes with [OpenPisteMap]. 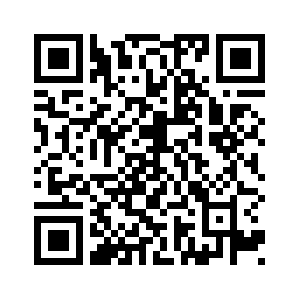 Route playback by sliding your finger. 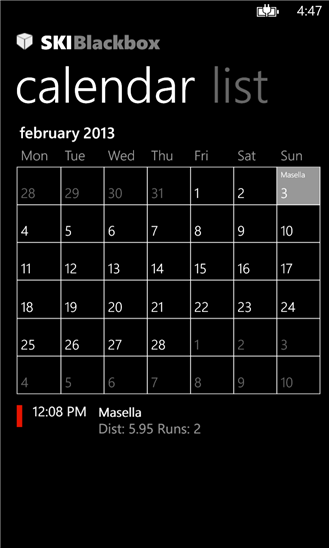 Upload gpx file to skydrive. 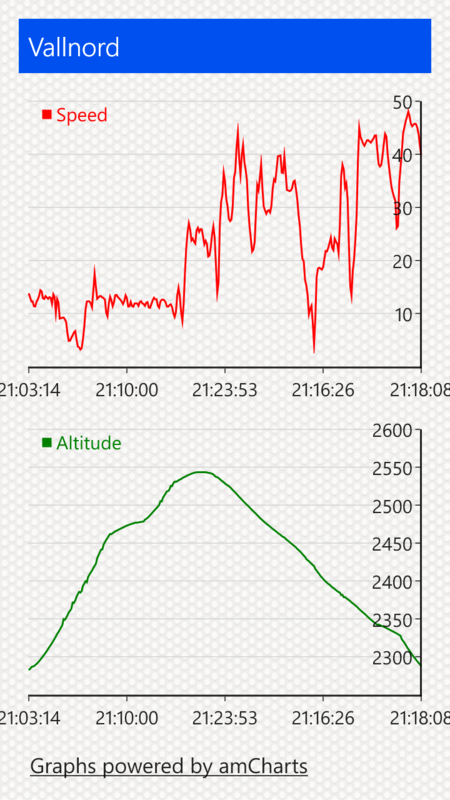 LineCharts with speed and altitude.